Los Angeles, August 26, 2014 - Fashion One, the premiere fashion, entertainment and lifestyle international broadcaster, fortifies its partnership with the prestigious international modeling competition, Elite Model Look, in the search for the next new faces that would represent the Elite brand in the modeling world. Elite Model Look national competitions from Africa and Latin America will soon be broadcasted through the network. Elite Model Look is one of the most distinguished modeling contests in the world that have discovered and launched the careers of some of the most famous super models such as Cindy Crawford, Linda Evangelista and Gisele Bundchen. 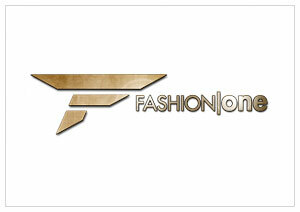 Fashion One will be covering the competitions this year starting in Morocco, Mexico, and Colombia, with a few more other national legs already in tow. From the intercity castings to the finals, the exclusive feature will give viewers an inside look on the action and drama during the selection of the country's model representative to the Elite Model Look International competition. Fashion One and Elite Model Management first ventured into an agreement with the pursuit of Elite Model Look Spain. The show's debut earlier this year received huge success. Since then, the network started partnering with other Elite Model Look franchises including Elite Model Look Morocco, Elite Model Look Mexico, Elite Model Look Colombia, and are currently adding more to the list. "This year, participants throughout the competition's castings come to raise the bar into beauty and poise in order to compete for Elite's title. More prepared and advocates of fulfilling their dreams, we're ahead of an interesting process that is set to surpass the level and success of previous years competitions," mentioned Sandra Lomelí, former model and Elite Model scouting authority. "Fashion One embraces fashion and its diverse facets in different cultures with Elite Model Look, being one of the biggest exponents and professionals on this area," expressed Fashion One's Chief Executive, Ashley Jordan. "We are looking forward in continuing the business alliance with Elite in new nations and formats, reaffirming the commitment of the television network in promoting emerging talents." Elite Model Look series is part of Fashion One's original programming line-up created by executive producers, Michael Gleissner and Ashley Jordan.